A Victory for Burke Brothers! The Flower Show congratulates Burke Brothers, who recently received recognition for winning the Grand Award for landscape design/build from the Professional Landscape Network (PLANET), a national association of more than 3,500 professional landscape companies. Among 162 entries in this year’s Environmental Improvement Awards program, the backyard design/build job you see here came out on top. 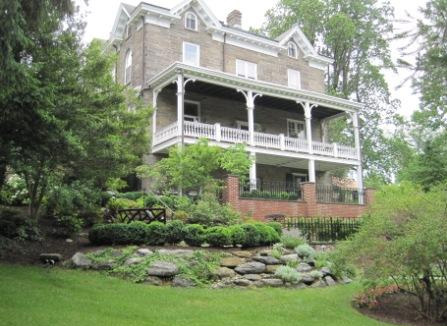 According to the folks at Burke, this wining project was particularly challenging because the property itself was sloping, eroded, and difficult to access. But thanks to Kevin Burke’s vision, Vivianne Englund-Callahan’s design skills, and months of hard work from the foremen and crew, the project came together in time for a mid-summer garden party. The clients were so pleased to hear about the PLANET award, and are thrilled to have a beautiful and newly usable backyard to enjoy for many years to come. Burke doesn’t have too much time to celebrate though; the Flower Show is only months away and there is much to be done! Who knows what fun, fresh exhibit they’ll share with us this year for Springtime in Paris. Tickets are on sale now! C’est Magnifique – 2011 Flower Show Tickets Are Now on Sale! Champagne, roses, berets, and musicians created an air de fête at the Sofitel Hotel Philadelphia (17th and Sansom Sts. 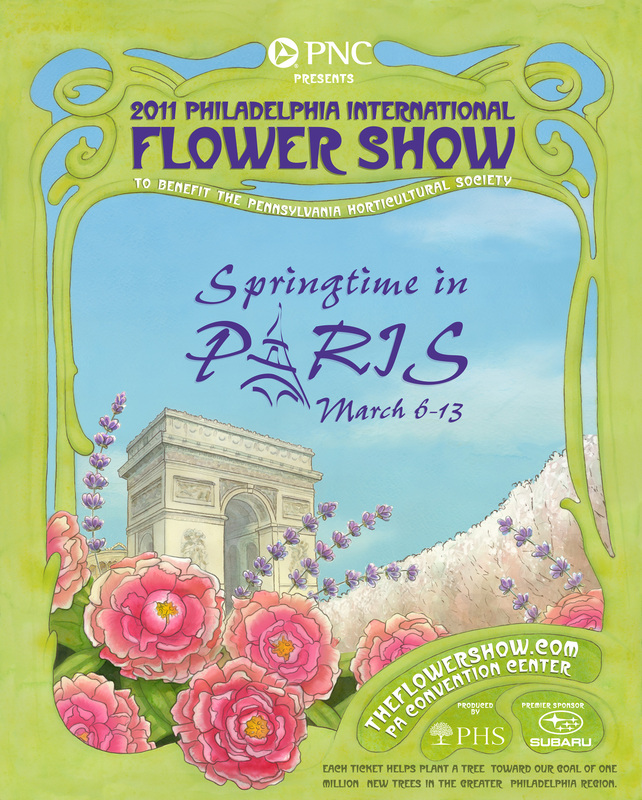 ), during an intimate gathering where PHS president Drew Becher announced that tickets are now on sale for 2011 Philadelphia International Flower Show, Springtime in Paris. Drew likened the Flower Show to other national landmark events, such as the Kentucky Derby and Mardi Gras. He is encouraging Philadelphians to take pride in what the Flower Show accomplishes in our city year after year. Other guest speakers at the event included Michele Waters of the Sofitel Philadelphia, Edward Kozmor from PNC, and PHS’s own Sam Lemheney, who shared his vision for the 2011 Show. All the speakers emphasized that the Flower Show is a fundraisier to support PHS’s greening projects, including a bold new tree-planting campaign that will be officially launched at the Show this March. Support PHS and see Springtime in Paris! Buy your tickets online at www.theflowershow.com. À bientôt, j’espère! Carl Hagerty will wow us again with his topiary masterpieces at this year’s Flower Show. In the past you have seen such delights as an elephant in Jamie Rothstein’s Passport to the World exhibit (depicting a wedding in India), and this year you will see even more creative creatures. Check out our slide show below for a little sneak-peak at Carl’s work, which includes a peacock, a dolphin, a butterfly, and a lion—with more to come! 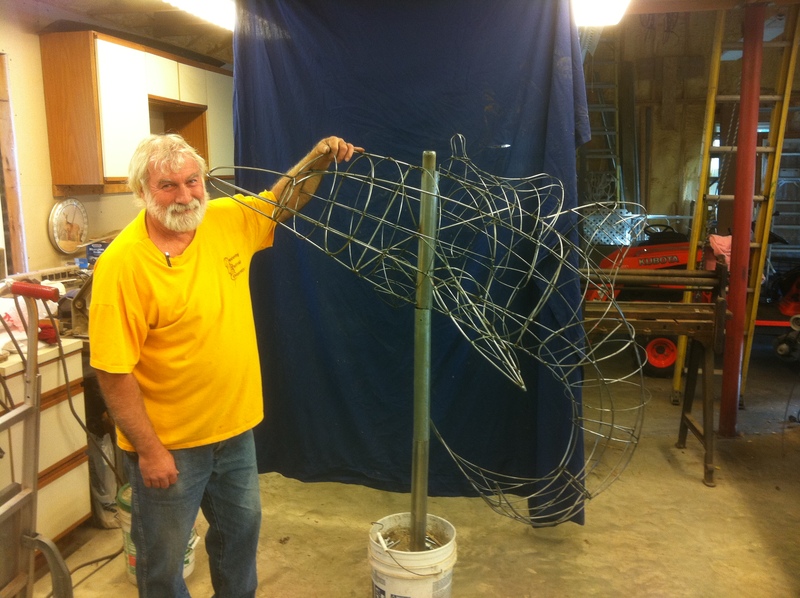 They will be located on the Flower Show’s Center Stage, as a part of a fabulous carousel of floral design. When the frame is finished, Barb King of Valley Forge Flowers will complete the magic with greens and flowers. Some lucky people were able to see a preview at last Monday’s press conference at the Sofitel Hotel Philadelphia, where the peacock made its debut. Of course, Valley Forge Flowers will outfit it with new feathers come March. Tuesday, Dec. 7, 6 to 9 p.m.
Join PHS for a special holiday shopping and refreshments event from the folks who brought you Anthropologie and Urban Outfitters. Shop for the most inspiring collection of garden goods, plants, furniture, gifts, locally-sourced and prepared artisan foods, home and garden décor, as well as found objects and antiques. Enjoy seasonal beer, hot cider, and hor d’oeuvres, live entertainment, holiday decorating demonstrations and a wine tasting. PHS members will receive a 20% discount on all purchases between 9 a.m. to 6 p.m. All customers who attend the special shopping event can enjoy the 20% discount from 6 p.m. to 9 p.m. Terrain will donate 5% of all purchases from 6 to 9 p.m. to PHS. To register, call PHS at 215-988-8800. Also join PHS for a special three-course prix-fixe dinner and wine pairing with PHS President Drew Becher starting at 7 p.m. The cost is $100. To register, call PHS at 215-988-8800. 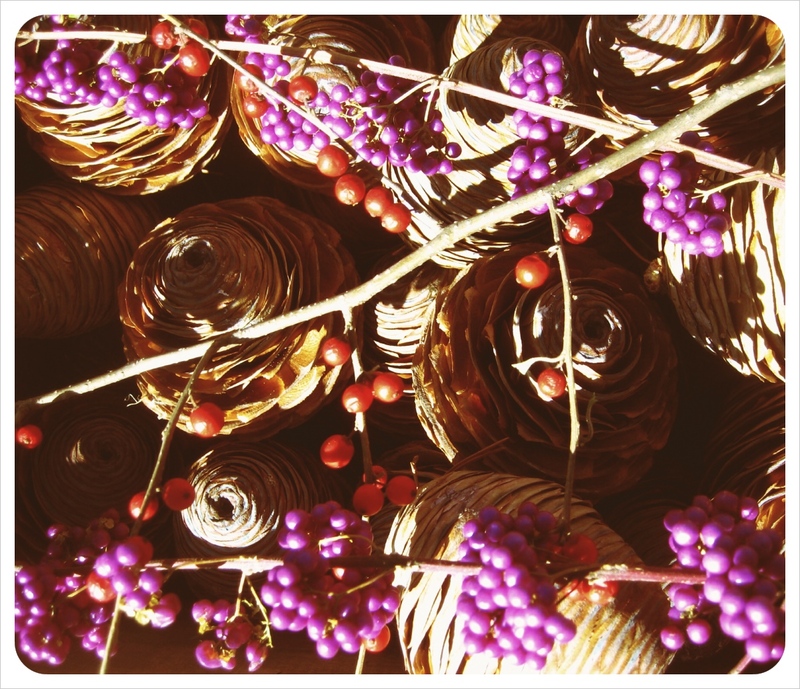 For more, visit http://www.shopterrain.com. Send your family and friends to the world’s largest indoor flower show”Springtime in Paris,” March 6-13, 2011 at the Pennsylvania Convention Center. Get your print-at-home tickets online and customize at www.theflowershow.com or purchase over the phone at 215-988-8800. Each ticket purchased for the Show this year will help the Pennsylvania Horticultural Society provide fresh produce for underserved families and plant new trees throughout the region. 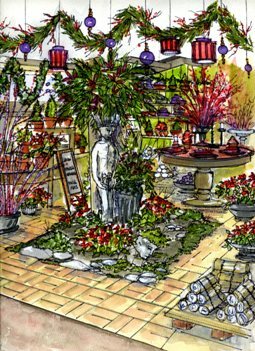 The Flower Show raises $1 million annually for the efforts of Philadelphia Green, the acclaimed community greening program operated by PHS. Mark your calendars for the Meadowbrook Farm Holiday Open House coming up on Saturday, Dec. 4, 10 a.m. – 5 p.m. at Meadowbrook Farm, 1633 Washington Lane, Abington Township, Pa., 19046. Enjoy tours of the decorated estate house of the late Mr. & Mrs. J. Liddon Pennock, join in on children’s activities including roasting marshmallows, and shop in a redesigned store by Philadelphia International Flower Show exhibitor Groundswell Design Group at this festive event. Christmas trees, terrariums, succulent gardens, a holiday marketplace full of crafts and treats, and a great selection of poinsettias, cut greens and gifts will be for sale. Learn tips on how to decorate your own home this season. 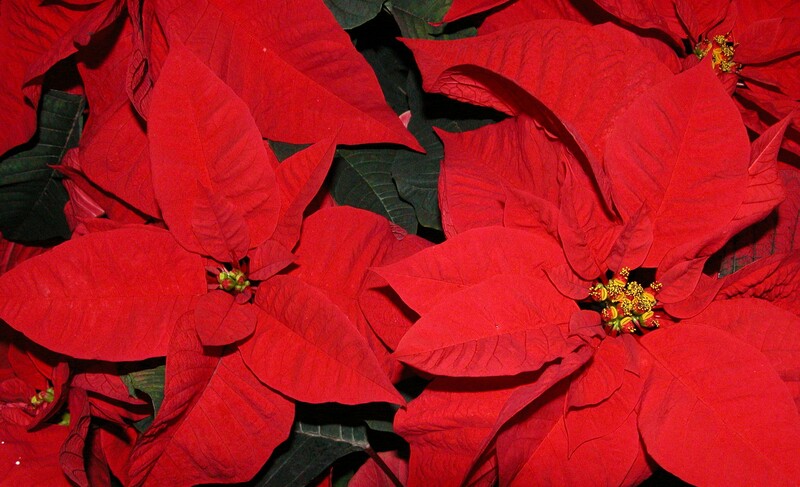 PHS Members enjoy a 10% discount on plant purchases at Meadowbrook Farm. For more, please visit www.meadowbrookfarm.org. 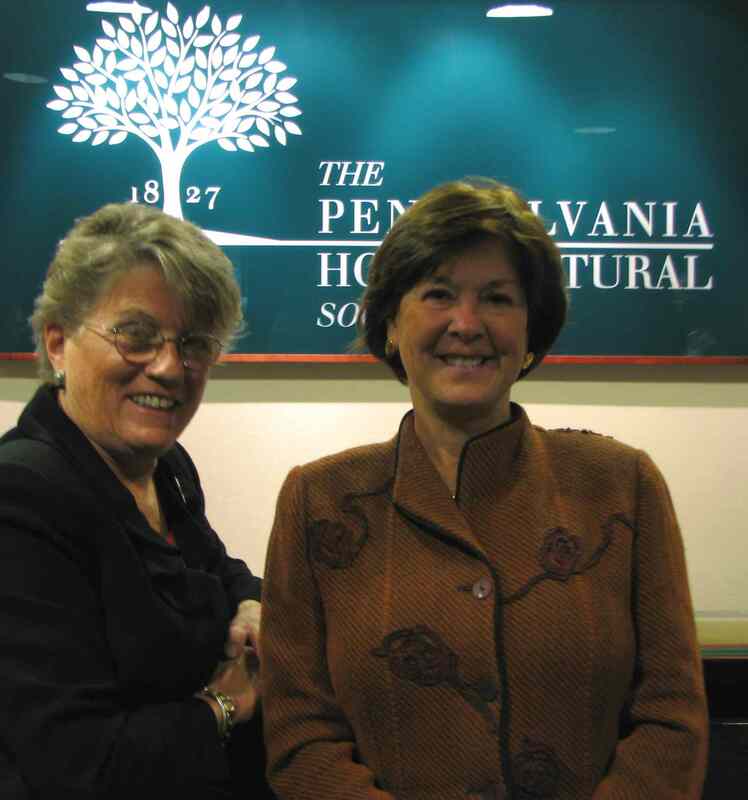 The 183nd Annual Meeting of the Pennsylvania Horticultural Society Council convened on Tuesday, Nov. 9, to elect new members and present the 2010 PHS awards to an exceptional list of honorees. 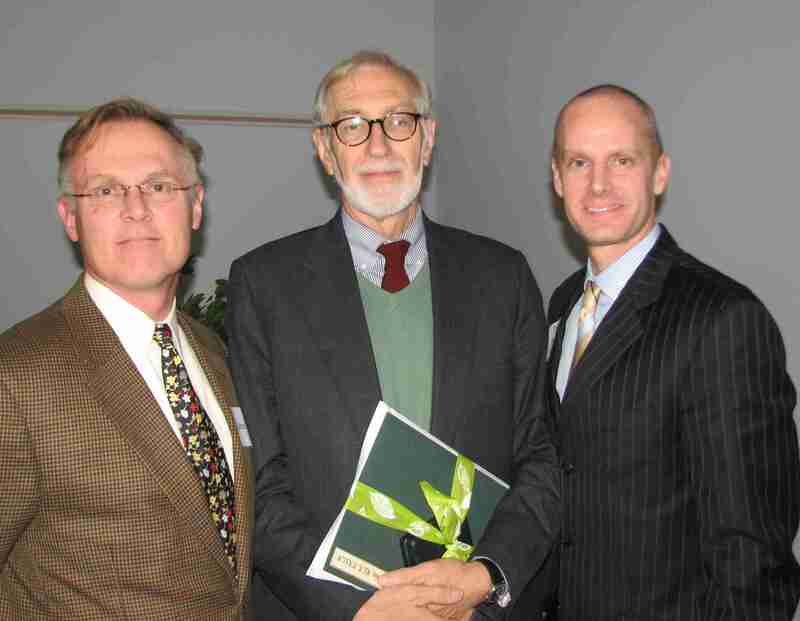 Renowned American landscape architect Laurie Olin received the PHS Distinguished Achievement Medal. Olin is a founding partner of the Philadelphia-based landscape architecture and urban design firm, OLIN. The firm received the Cooper-Hewitt National Design Award for Landscape Design in 2008 and was on the winning team in the 2010 competition to design the new United States Embassy in London with architects Kieran Timberlake. OLIN landscape designs include the Campus Development Plan for the University of Pennsylvania, where Laurie Olin serves on the faculty; the J. Paul Getty Center in Los Angeles; Bryant Park, Battery Park City, and Columbus Circle in New York City; the Washington Monument in Washington, D.C.; the Brancusi Ensemble in Romania; and the Simon and Helen Director Park in Portland. OLIN is currently working with PHS on the renovation of the landscape at the Rodin Museum on the Benjamin Franklin Parkway in Philadelphia. Laurie Olin was also selected to serve as the landscape architect for the Barnes Foundation’s new site on the Parkway. The PHS Distinguished Achievement Medal is presented each year to an individual who has made outstanding contributions to the field of horticulture and has had a strong impact on PHS programs and projects. Michael Bowell is an orchid specialist and self-described “general practitioner horticulturist.” He and his partner, Simple, own Create-a-Scene, Inc., a landscape design service in Chester County where they have a two-acre garden and large greenhouse. Bowell received a BS in plant science from Rutgers University. 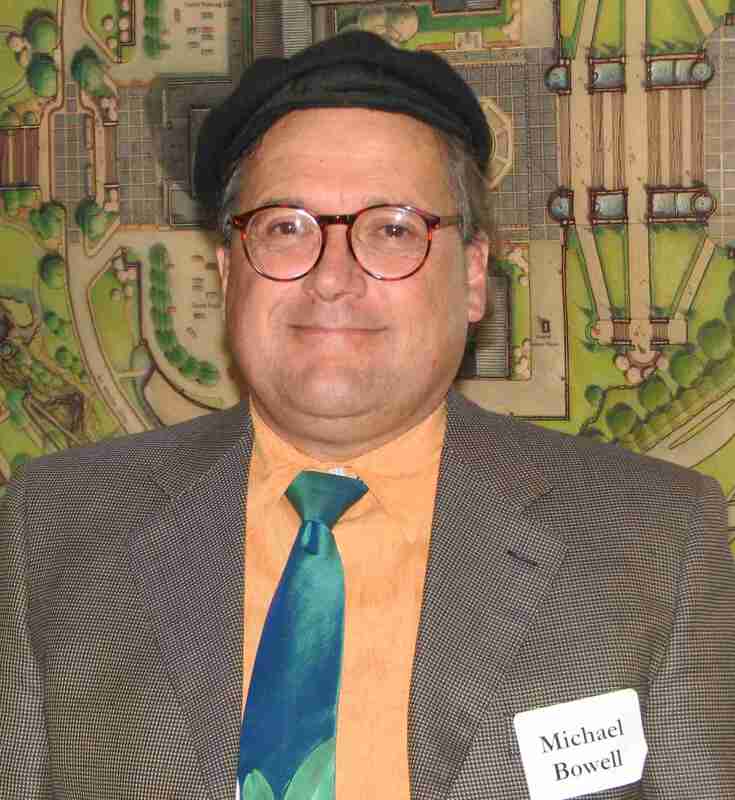 He regularly volunteers as a lecturer at the Philadelphia International Flower Show, where his orchids have earned numerous blue ribbons and rosettes. He also leads container and trough workshops on his property, a favorite destination for gardeners and PHS members. Medal shrubs, and gardening accessories on the exhibit floor of the Flower Show. They also help with Meadowbrook’s booth at the PHS Fall Garden Festival. Eremus serves on the Azalea Garden Party Committee with her husband, Joe. The PHS Council approved the nomination of the following members for re-election to second three-year terms, starting Nov. 9: Heather Ascher, Thomas L. Bennett, Leslie Anne Miller, John F. O’Rourke, Paul A. Reid, and Patricia L. Smith. Roberta Dranoff has a master’s degree in urban planning from the University of Pennsylvania and worked as a grants administrator and development manager for the U.S. Department of Housing and Urban Development. She is a docent at the Philadelphia Museum of Art. Dranoff served as chair of the 2010 Flower Show Preview Party Committee, and is a member of the Flower Show Executive Committee. Margaret McCarvill is the global supply chain director for Dow Coating Materials. She has an MBA from the Wharton School of the University of Pennsylvania and a BA from Villanova University. She and her husband, Stephen Amadio, enjoy developing their garden in Cherry Hill, N.J. McCarvill is vice president of the Neighborhood Gardens Association, a Philadelphia Land Trust, and serves on the PHS Finance Committee. Robin M. Potter spent 20 years in the computer services industry before turning her focus to horticulture. 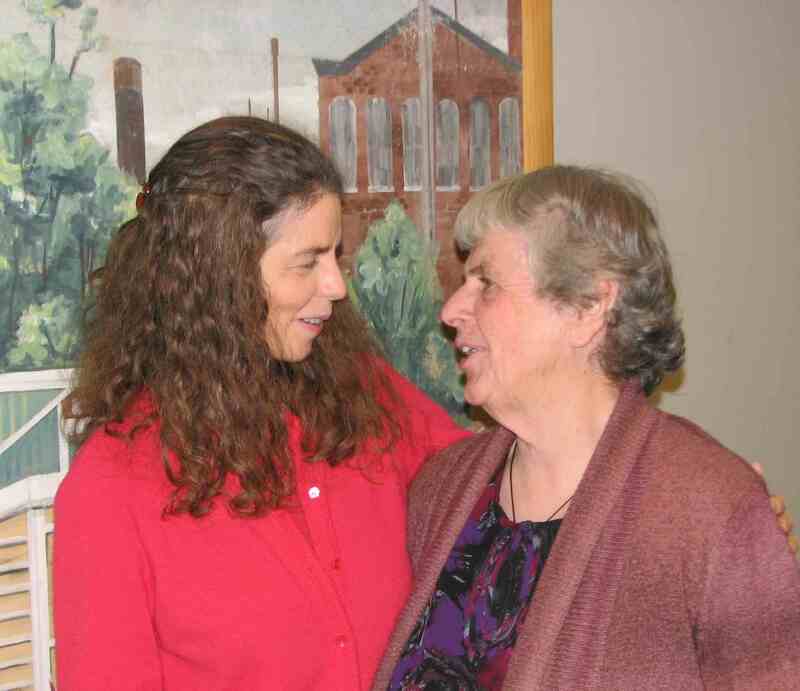 She completed the Barnes Foundation Arboretum course and became a Master Gardener in Camden County. A lecturer and garden design consultant, she serves on the Haddonfield, N.J., Shade Tree Commission and the Board of the Haddonfield Civic Association. Porter chairs the PHS Plant Dividend Committee, serves as a Flower Show tour guide, and judges for the PHS City Gardens Contest and Community Greening Award. Frank J. Soucek is director of business development for Delaware Valley Wholesale Florist in Sewell, N.J. He serves on the Flower Show Executive Committee. Founded in 1827, PHS motivates people to improve the quality of life and transform their communities through horticulture. PHS’s signature initiatives – Philadelphia Green and the Philadelphia International Flower Show – uphold a tradition of quality horticulture, sustainable community development, and floral and landscape design that inspires gardeners throughout the nation. 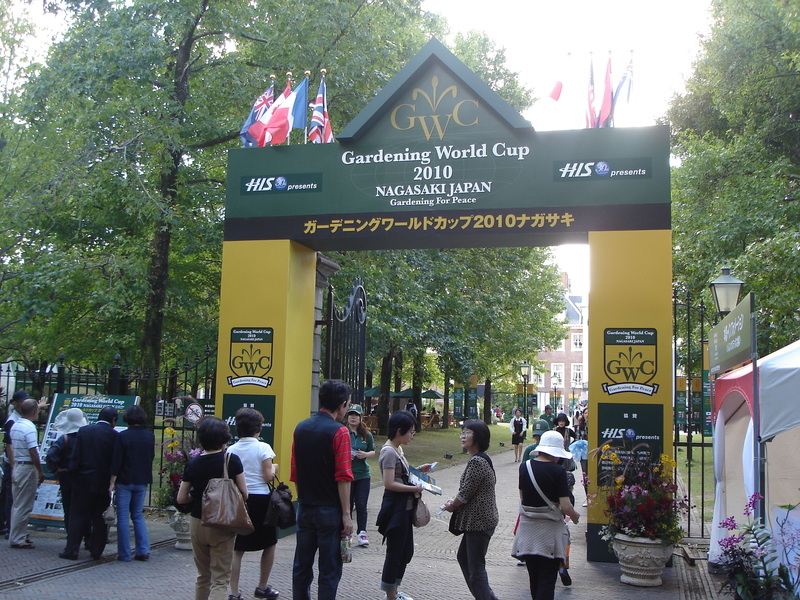 Last month, Philadelphia International Flower Show Designer Sam Lemheney traveled to Nagasaki, Japan, to help judge the first ever Gardening World Cup under the banner of world peace. Ten of the world’s top landscape designers competed for the prestigious title and unleashed their skills, talents and creativity at the Huis Ten Bosch hotel and resort. 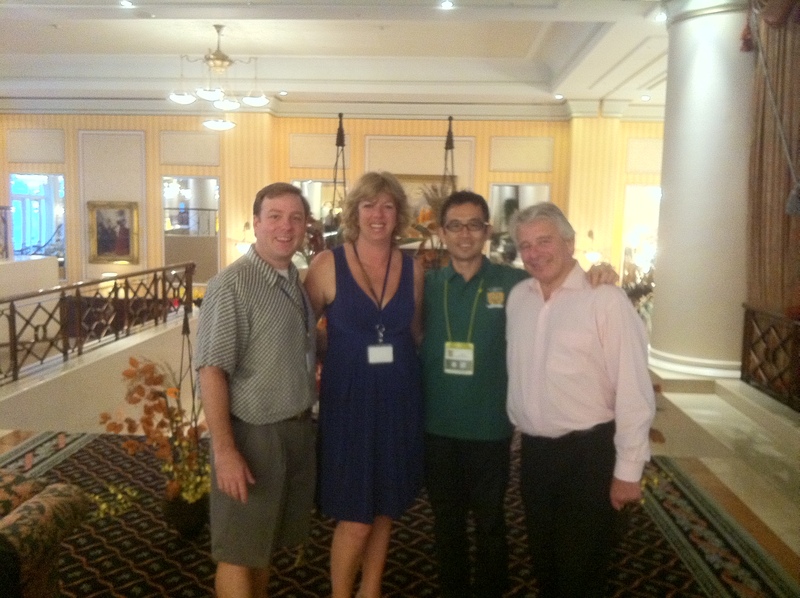 The judges included: Sam Lemheney from the Philadelphia International Flower Show; Kate Hillier from the Ellerslie International Flower Show in New Zealand; Wei Har Wong from the Singapore Garden Festival; and Bob Sweet, head of Show Development for the Royal Horticutlural Society. 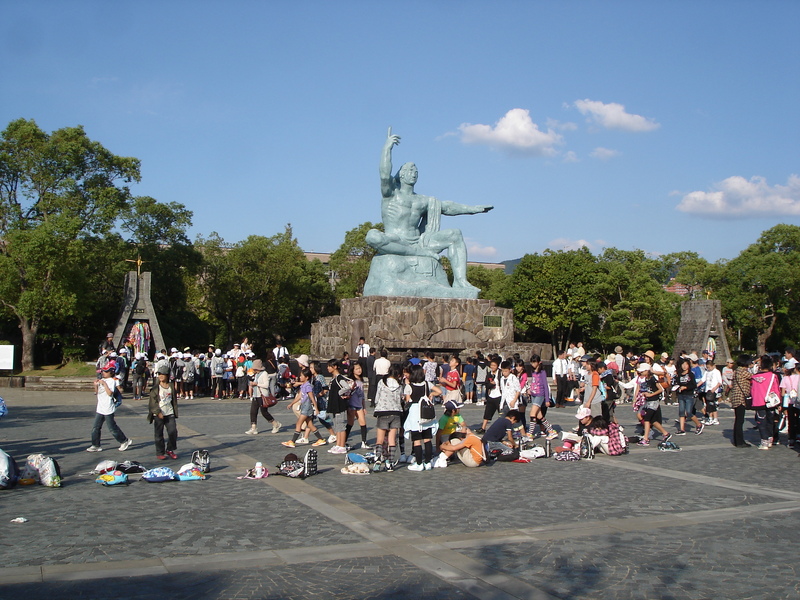 For more information on the World Cup, please visit here.